hellomybot.io is the perfect omnichannel bot platform (Saas) for companies and developers who want to create any kind of conversational agent (callbots, voicebots & chatbots). Get building a chatbot on desktop or chat messenger (Facebook Messenger, WhatsApp, Telegram, Slack, Skype…). 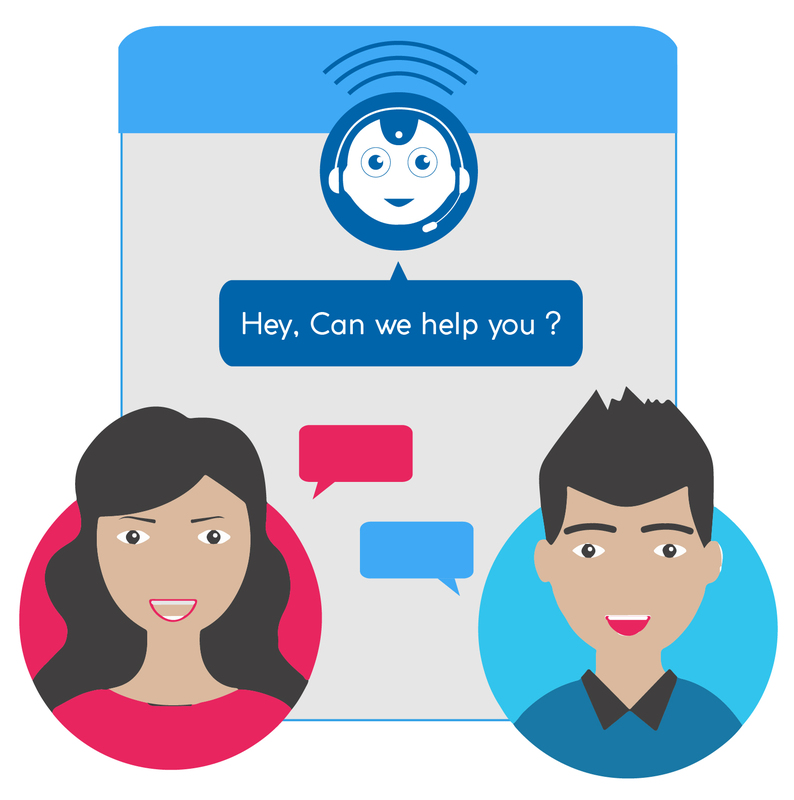 You create smart chatbots that have an immediate impact on your business. Make your bot understand custom queries (voice or text queries) with personalized conversations. Give your users a completely personalized experience. Instant answers, your bot replies every day, round the clock, and you control the communications. Design all your conversational flows with hellomybot.io. : automated or human. 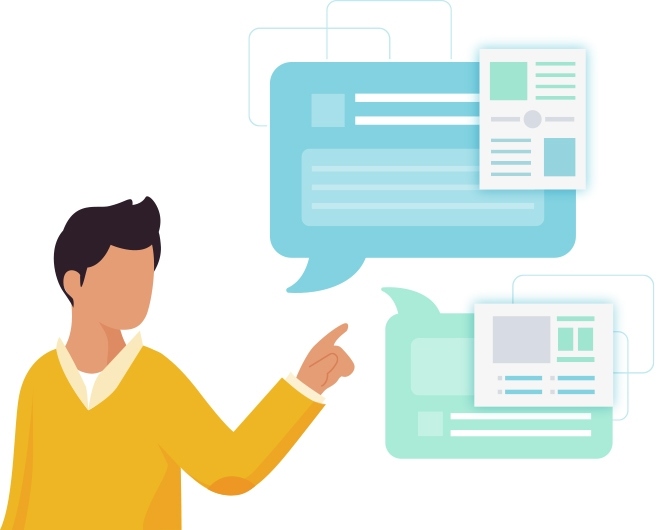 Talk directly to your consumers through your conversational agents platform. Plugs into e-mail or your helpdesk software. Reach your audience on every kind of platform and take advantage of each platform’s specificities. Reach out the world on messaging apps with hellomybot. Get incredible insights on user behavior with hellomybot Analytics. A better understanding of your prospects or clients. Collect and process the information transmitted during conversations. I want my bot !!! hellomybot.io lets you create a bot platform for marketing, sales and support. Communicate directly with your clients, not only through e-mail but by direct messaging (voicebots, callbots & chatbots). Grow your business with voice & chat conversations, proved to have a positive impact on your ROI! 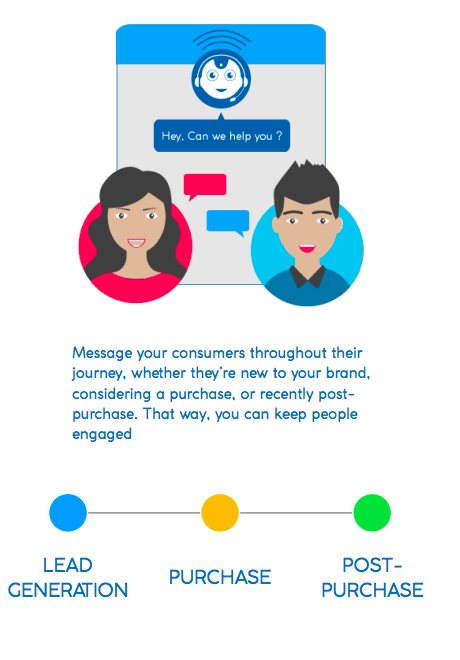 Automate your conversational marketing all while keeping it personal with your consumers. Measure and analyse the impact of our callbots (phonebots), voicebots & chatbots directly with hellomybot analytics tools. Provide 24/7 consumer service and reduce human support costs. hellomybot.io platform can be trained to automatically respond to common consumer questions. Chat-based support provides frictionless, personal support, so your consumers feel heard and helped. Integrate seamlessly and securely! hellomybot.io integrates with all your existing enterprise and CRM platforms, as well as e-commerce platforms like Shopify, Magento, Prestashop, … As a result, Conversational Marketing blends effortlessly with your broader marketing strategy. And you can relax knowing your data is kept completely private and secure with leading-edge encryption technology. Create smart conversations with hellomybot.io! They talk about hellomybot.io !